Today is the longest day of the year. It may just feel like the longest day of the year because Red Indians are trying to make it about them, but it legitimately is. † Yes, yes, people say "longest weekend" when they mean "longest amount of sunlight in a 2-day weekend. Stop being so pedantic. Obviously all long weekends are tied for "longest weekend". Saturday June 17th Edmonton saw 17:02:02 hours:minutes:seconds of daylight. Sunday June 18th saw 17:02:22, for a combined "weekend daylight" of 2304 seconds. Saturday June 24th Edmonton will see 17:01:56 hours:minutes:seconds of daylight. Sunday June 25th will see...well, less, and you can already see that since days will be getting shorter our supposition was correct: but still, 17:01:28. 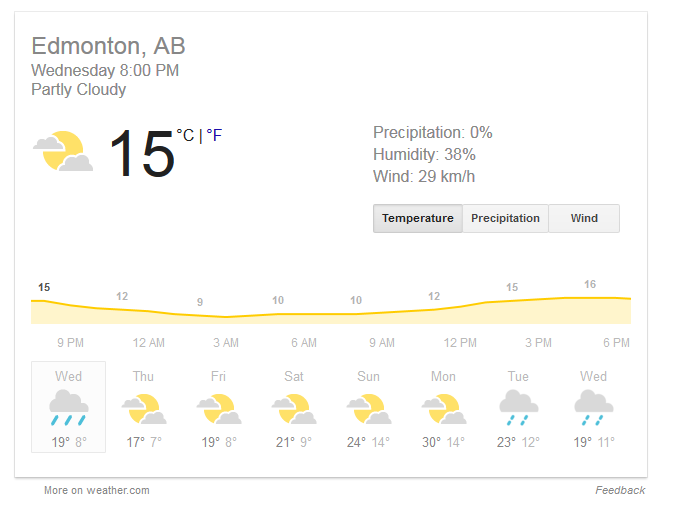 This means next weekend Edmonton will "only" get 2244 seconds of daylight: an entire minute less sunlight.